The first comphresensive book of furnishing by Charles Sticley of the Stickley & Brandt Company. The book contains a 10 page history of the Stickley & Brandt Company and 150 pages of illustrations of the furniture produced by this company at their factory in Binghamton, NY. This book details the history of the L&JG Stickley Company, the evolution of their furniture and how this evolution was affected by the people in the company and how the company impacted its competitors. 119 plus pages of history with accompanying photos from various collections. 7-1/4" by 10-1/4" paperback book covering the "Onondaga Shop" (1902 to 1906), the "Handcraft Furniture" (1906 to 1912) and "The Work of L & JG Stickley" after 1912. Over 200 pages of sketches with an average of 4 to 6 items per page. paperback 6-1/2" by 9" with 260 illustrations covering the Onondaga Shop and Handcraft Furniture. Mostly sketches but a few photographs. Not as comprehensive as the book above. A small but nicely published paperback book measuring 5-1/2" by 8". Easily carried to auctions for verification authenticity. Watch for Stickley Brothers metal tags that have been attached to non-stickley furniture. 77 pages with photos along with model numbers and descriptions. 7" by 10" paperback book with just under 100 pages featuring sketches with an additional 38 pages of metal work including lighting. This is the only Stickley brothers reprint to include metal work. 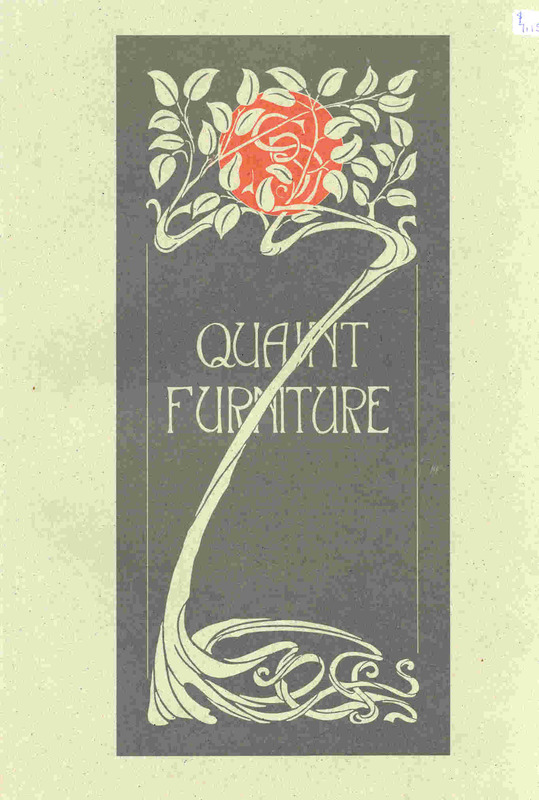 1912 Quaint furniture, Grand Rapids Mich. Larger that most other reprints, this paperback catalog measures 9" by 12" and contains over 75 pages of photos and is essential a reprint of Catalog #38 dated Jan 1, 1912. Following the photos is a listing by model number of all the pieces in the catalog, the page the piece can be found on, and the list price in 1912, dimensions and other descriptive information. Quaint Furniture, Catalog No. 42. Similar in size to the catalog above this is a reprint of the Catalog No. 42 published January 1, 1914. It is little more comprehensive that the above in that it includes a number of pieces with the Barley Twist leg design. This catalog also includes a section cross referencing the item numbers to where they can be found in the catalog along with original prices and descriptions.